Valencia College’s Accelerated Skills Training department awarded certificates of completion to 30 core construction graduates in downtown Orlando on March 8, near the future UCF and Valencia College Downtown Campus. Graduates of the program—which was first offered in 2015 by Valencia College in Osceola County—receive nationally-recognized certificates following a curriculum of basic construction skills, job-specific math and blueprint literacy. The downtown graduates are now prepared to enter the workforce earning an average wage of $12 – 14 an hour. 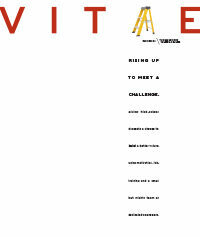 After an outreach campaign targeting underemployed downtown communities, the college administered 200 hours of coursework in just six weeks, adding basic computer skills, resumé writing and interview skills to the required curriculum. Following the inaugural graduation ceremony in UCF’s Center for Emerging Media, students attended a job fair with area construction companies, several of which are building the shared downtown campus. This project represents just a portion of an estimated $9 billion in pending construction projects for the region. 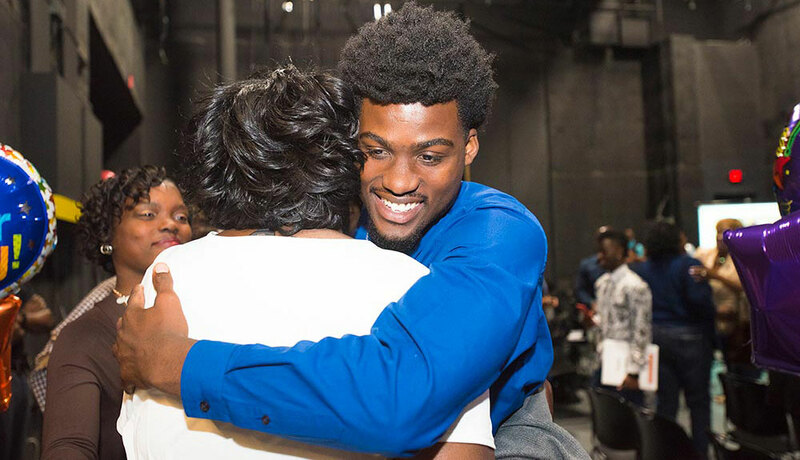 Cornelius Stewart embraces a family member following the inaugural graduation ceremony of downtown core construction program on March 8, 2018. Cornelius and his mother, Tiffany, completed the six-week course together. 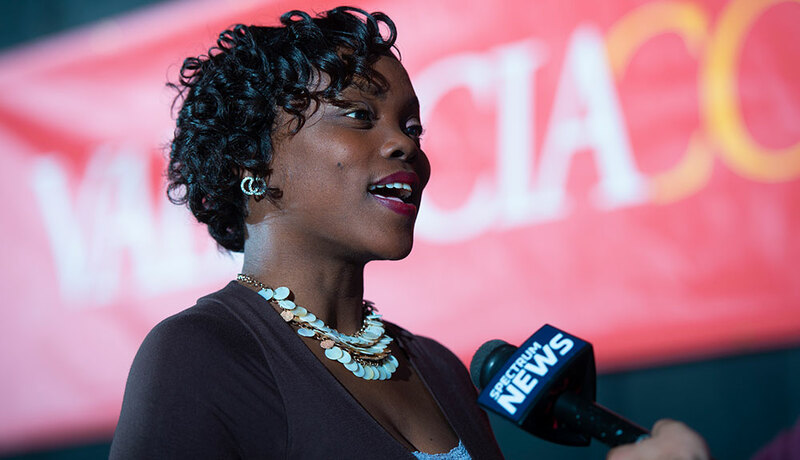 Tiffany Stewart, a graduate and charter class member of Valencia College’s core construction class downtown, speaks with News 13 following the program’s graduation ceremony, which was held at UCF’s Center for Emerging Media on March 8, 2018. Stewart completed the course alongside her son, Cornelius, and attended the construction job fair immediately following the ceremony. Orlando Mayor Buddy Dyer (center) and District 5 City Commissioner Regina Hill (center right) with faculty and a student of the downtown construction program. Both Dyer and Hill spoke at the graduation ceremony which was held in the Creative Village, the future home of the forthcoming downtown campus. Eugene Jones, Valencia’s Executive Dean for the future downtown campus, spoke to students during the ceremony. 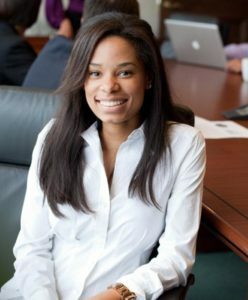 “When I went to my graduation, I didn’t have employers lined up to interview me afterward,” said Jones. Just one month after the inaugural graduation ceremony, a second construction program kicked off in the Center for Emerging Media. 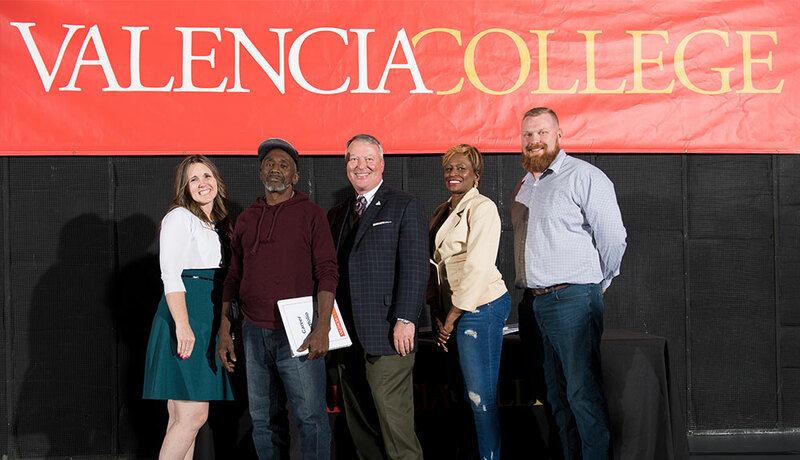 Valencia College will receive a $2,320,000, five-year grant aimed at increasing economic mobility for low-income citizens while strengthening the talent pipeline for employers. The award, announced in March by Florida Gov. Rick Scott, was one of four Central Florida projects—and one of 11 statewide—to receive grants totaling $22 million. The Florida Job Growth Grant Fund, established by Scott and the Florida Legislature last year, provides $85 million for improving public infrastructure and enhancing workforce training in Florida. Hands on meets high tech in Valencia’s Advanced Manufacturing program. 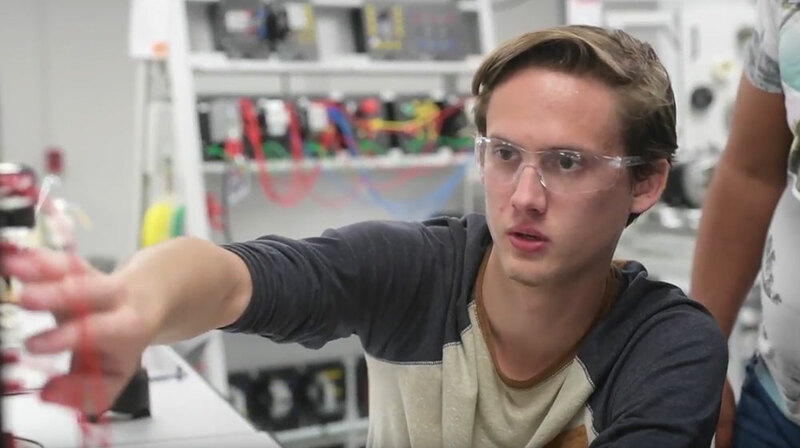 Check out what our students have been working on to prepare them for high-demand careers in manufacturing around the Central Florida community. As part of the grant, Valencia College will open a Center for Accelerated Training in downtown Orlando, offering short-term, high-tech training programs in mechatronics, electronic board assembly and transportation logistics. Grant funds will also provide need-based tuition assistance for participants. “This partnership with the governor’s office, the Florida Department of Economic Opportunity, the City of Orlando and the college illustrates the value of collaboration in creating ‘economic rungs on the ladder’ for our citizens, while providing a return-on-investment for the community,” said Valencia College president Sandy Shugart. Valencia College’s Mechatronics program—an intensive, 20-week Accelerated Skills Training course offered at our Advanced Manufacturing Training Center in Kissimmee—gives the student the skills needed to join, or re-enter, the workforce in the high-paying, high-demand role of Industrial Maintenance Technician. Valencia College introduces two new bachelor’s degrees into the curricula this year. The Bachelor of Applied Science in Business and Organizational Leadership (BASBOL)—designed with help from local business leaders and University of Central Florida officials—will provide access to a bachelor’s degree for students who have earned an Associate in Arts (AA) or Associate in Science (AS) degree in any discipline. The degree is designed to help A.S. graduates add business skills on top of their previously learned industry skills. For A.A. graduates, completion of this business degree will prepare them for leadership positions in a myriad of industries. For prospective students who already have 15 credits (through dual enrollment, Advanced Placement or technical school courses), the new bachelor’s in business provides a pathway to a $10,000 degree. A new Bachelor of Science in Nursing degree (BSN), which will be offered primarily online by Valencia, allows nurses who already have an associate in science nursing degree to remain on the job while pursuing a bachelor’s. 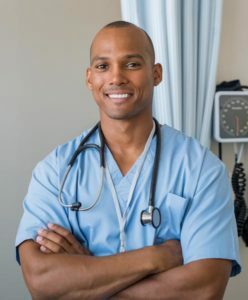 The BSN was developed in coordination with Orlando Health, Florida Hospital, UCF and three other local state colleges, in response to a critical shortage of nurses in the region. Together the regional taskforce expects to train more than 6,500 nurses at the BSN level by 2023. Efforts to accommodate the growth in STEM-related jobs have garnered the college the inaugural Siemens-Aspen Community College STEM Award. Presented by the Aspen Institute College Excellence Program and the Siemens Foundation, Valencia College’s network engineering technology program, is one of eight community college programs in science, technology, engineering and math (STEM) to receive the $50,000 award. In addition to funding curriculum development, students (known as Siemens Technical Scholars) will receive scholarships as they pursue specializations in cyber security, cyber forensics and cloud infrastructure security. 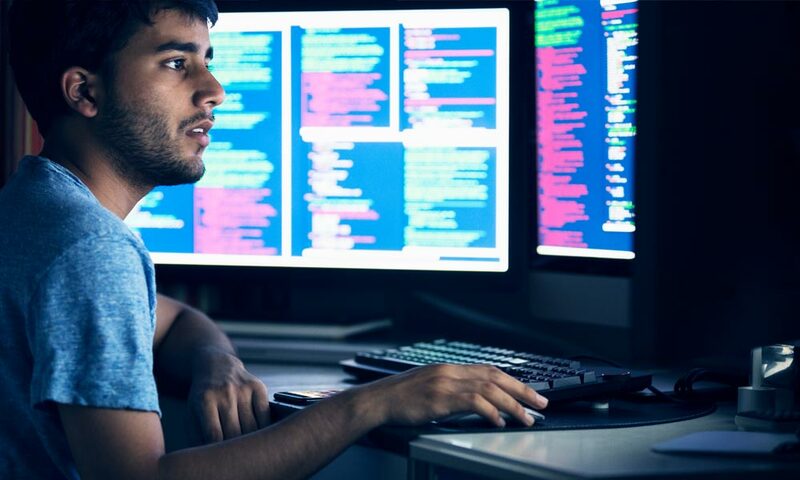 In related news, Valencia College and the University of Maine at Augusta have partnered in establishing an articulation agreement, allowing students to earn a bachelor’s degree in cybersecurity. The bachelor’s degree will be offered primarily online with tuition costs comparable to those of Florida’s university system.